Joy personified, but with a tail, Sunflower is a Cavachon – the perfect combination of Cavalier King Charles Spaniel and Bichon Frise. At fifteen months old, this happy-go-lucky dog bounds when she runs, quickly evoking smiles from every corner of the Marathon facility. Denny shares the story the day he found her on the internet. His wife Jan thought he was simply visiting the QVC site, so thought nothing of his online activities. 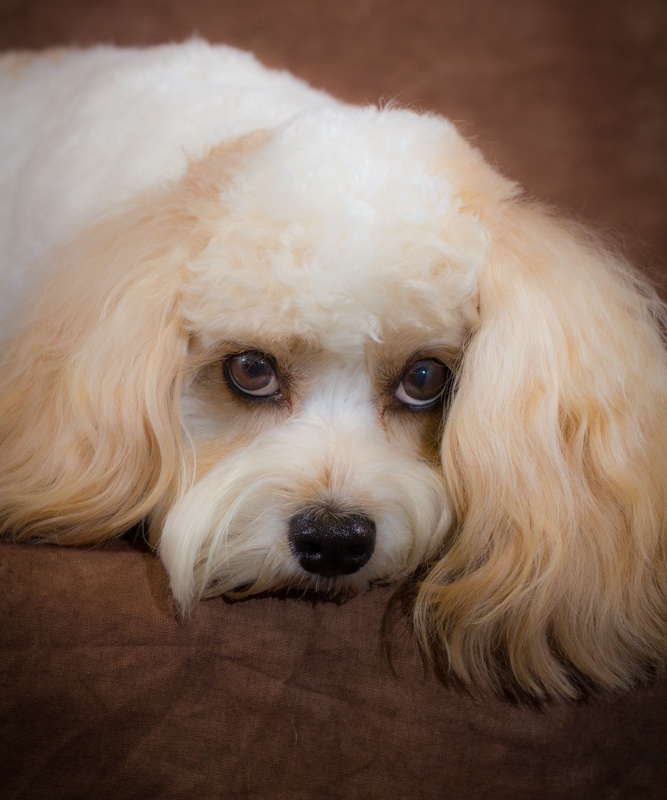 However, he was on the search for a new pet, and although he had never heard of a Cavachon, when he saw Sunflower’s photo with the “I’m available” caption, he immediately clicked the PayPal button. “When I got the bill, I about had a coronary,” Denny explained laughing. However, there’s not a hint of remorse from Denny or Jan.
We’re told Sunflower loves to ride in the Marathon where she gets to go and yet she’s still at home – the best of both worlds. Plus, all her toys are there, including her favorite bird feathers. If you find yourself spending a little quality time at Marathon while visiting service or touring the facility, be sure to make a stop at the marketing office. Not only are the members of the department animal lovers, but when time allows, they’re also happy to set up a quick photo shoot and capture some precious moments for you too. Who knows? You and your four-legged friend could find yourselves Marathon Blog famous, just like Sunflower!